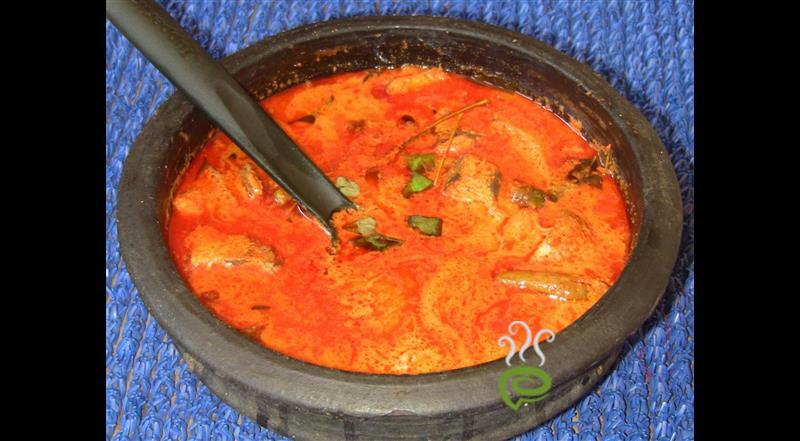 Fish curry in Kottayam style is one of the favorite all time fish curries in kerala. This meen curry goes so well with kappa. 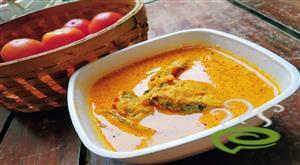 When this fish curry is made in chatti, it gives a special taste. In general the meen curry taste better next day when all the spices absorbed by the fish. 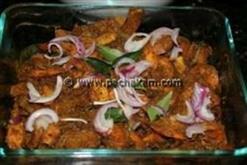 The small onions are used in this kottayam fish curry to enhance the taste of the curry. 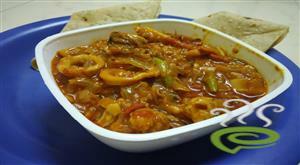 This fish curry is a simple recipe which can be made even by a novice. 1)Heat about a quarter of a cup of coconut oil or vegetable oil in a frying a pan or chatti. 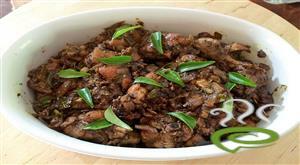 Add mustard seeds and when they splutter, add the chopped onions, few curry leaves and split green chilies and stir fry. Add a mixture of turmeric, chilly powder and paprika powder in half a cup of water and allow it to cook. When the oil begins to clear, add the remaining spices previously ground, half a cup of `puli water` and sufficient additional water to make enough gravy to cover all the fish pieces when cooking subsequently. Add salt and cook until the gravy is thick. Keep this aside. 1)Take a fairly large frying pan. Prepare a bed of curry leaves. Arrange the pieces of fish on this bed. Pour the previously prepared gravy over this. The pieces of fish should be completely covered. 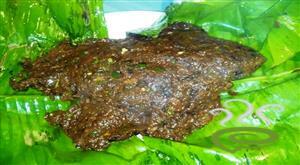 Add the remaining curry leaves and kudumpuli pieces, cover with a lid and cook slowly. Do not stir. :- If necessary, you can lift the frying pan by it`s handle and give it a gentle rotating or rocking motion during cooking to spread the gravy evenly. Stop cooking when the fish pieces are cooked sufficiently and the gravy is thick. 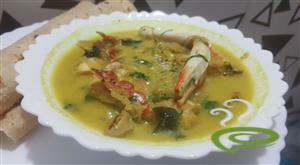 :- This kottayam meen curry preparation is best after it sits for a day or two to allow time for the spices to get in to the fish. The meen curry gets better as it stayed in the chatty. 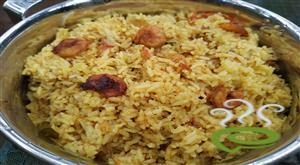 :- Enjoy the kottayam fish curry with kappa or rice. Very good recipe. I tried this with King Fish and my fish curry was excellent. An excellent recipe to try. Goes very well with Kappa. Good ....not bad at all. Just like mom use to make and guess what ...... I made it!! Thanks Pachakam and thanks Mariyamma Aunty. this is a brilliant recepie,as many said ,its bit too hot so try to cut down chilli powder ,and also dont even think about mixing papprika powder ,instead of that grid few (piriyan mulakku) ,i am sure author actually meant piriyan mulakku ,not papprika but many misunderstand piriyan mulakku and papprika ,its happend in this case as well .try this and u wouldnt be disappointed for sure. I made this curry for my beloved husband, which was the first of its kind i made for him & he loved it. Thanks for the post. I loved it. Tastes awesome. King fish is a bit tough to get here so I buy salmon. But it tastes just fine. Looks like this recipe is what is going to get done in my kitchen the max. Thanks a tonn! I wonder what is Paparika? Very good recipe. Tastes real good the 2nd day. What are the items which u mentioned previously ground?? which to be added? 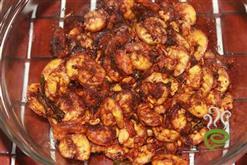 Paparika is similar to chilli powder. You can get it from any american stores. I tried this recipe. It came out excellently. Thanks a lot.